In front of a crowd at ZuCot Gallery Dee Dee Morrison revealed the motivation behind her latest work in Sweet Auburn Neighborhood of Atlanta. While walking through the historic district, she is reminded of her life’s passion…to bring awareness to the natural environment. Inspired by the work of Dr. Martin Luther King Jr., Morrison is using her artistry to create a new ecosystem in the historic neighborhood. 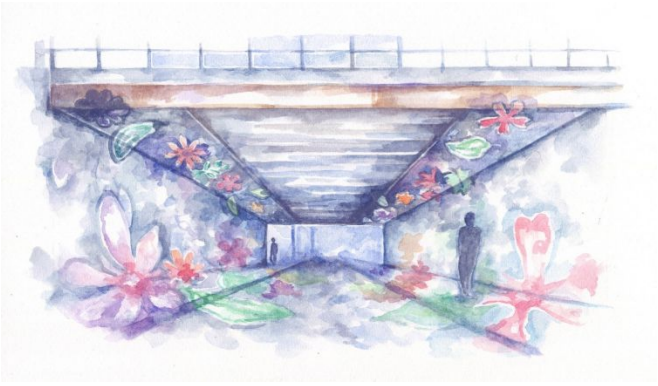 Her latest project “Fierce Urgency,” an installation within the Grant St. tunnel located adjacent to the King Memorial MARTA station, pays homage to King’s call for social justice.